You may recall last year, I wrote a post on how I used my embroidery machine's IQ Designer digitizing to add quilting to a quilt. I demonstrated this process during the making of my Spring Table Runner. This table runner had birds and spring wreath embroidery designs from Embroidery Library. I shared the project to Embroidery Library on Facebook last year when I had just finished the table runner. I loved seeing it featured in their Showcase today. You can see my original blog post for this table runner here. 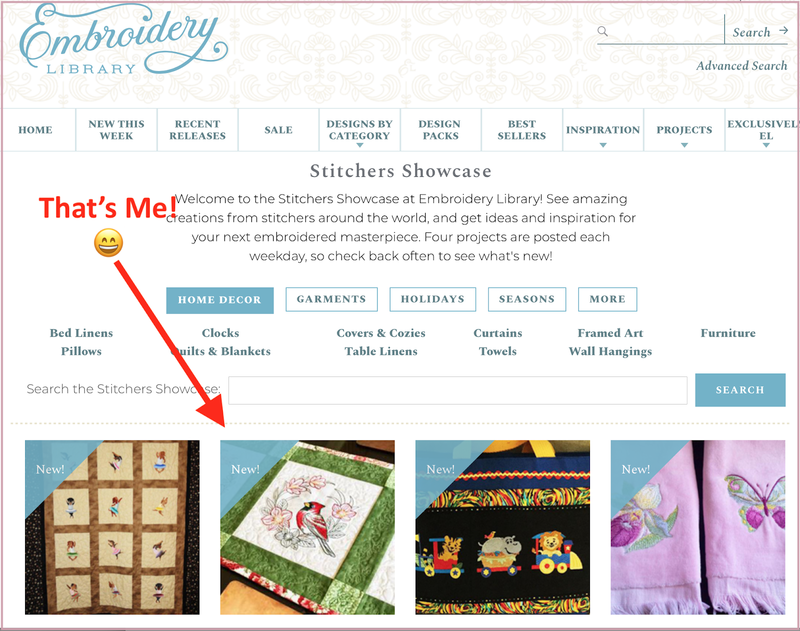 Click here to see all of the projects featured at Embroidery Library's Stitcher's Showcase. Congrats, Sylvia! So very exciting to have your work featured.